The rumours of the iPhone 5S, Apple’s next version of the iPhone, are coming in thick and fast, especially since the release date of it is all but confirmed. This time a leaked part hints at the camera featuring a dual-led flash. We’ve heard before that Apple may put a 12-Megapixel camera on the iPhone 5S, in order to compete against the various companies who are in a Megapixel race. However, there are also rumours that the iPhone 5S will retain the same 8-Megapixel camera found on the current iPhone 5 model, but will feature a wider aperture to allow in more light and ultimately improve the picture quality. Further rumours surrounding the camera have also hinted at a slow-motion video capture mode, which would be capable of recording 120 frames per second. This would heavily rely on the dual-LED flash. 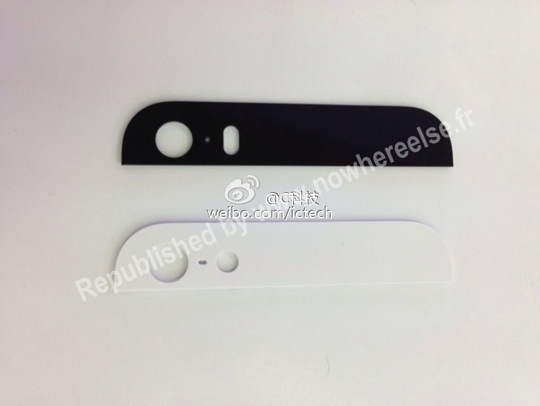 Sources have posted pictures of the glass strip of what they claim is an iPhone 5S component, showing what appears to be holes for a dual-LED flash, refreshing rumours that the super slow-motion recording may not only be included in the iPhone 5S, but could be a flagship feature. iPhone 5S – S for Slow-Mo? The inclusion of a dual-LED flash will assist greatly with low-light photography – an area that the iPhone 5, and previous iPhone’s for that matter have always been criticised about. Having a wider aperture, together with dual-LED flash will certainly increase the performance and quality of the camera in low-light situations. If the leaks are indeed accurate, then expect to see the super slow-motion 120 frames per second video recording feature included as one of the features that make the iPhone 5S stand out against the iPhone 5. However, as ever, take leaks with a pinch of salt – Photoshop is pretty powerful these days, so you cannot always believe what you see. Either way, we could only have less than a month to wait to find out.